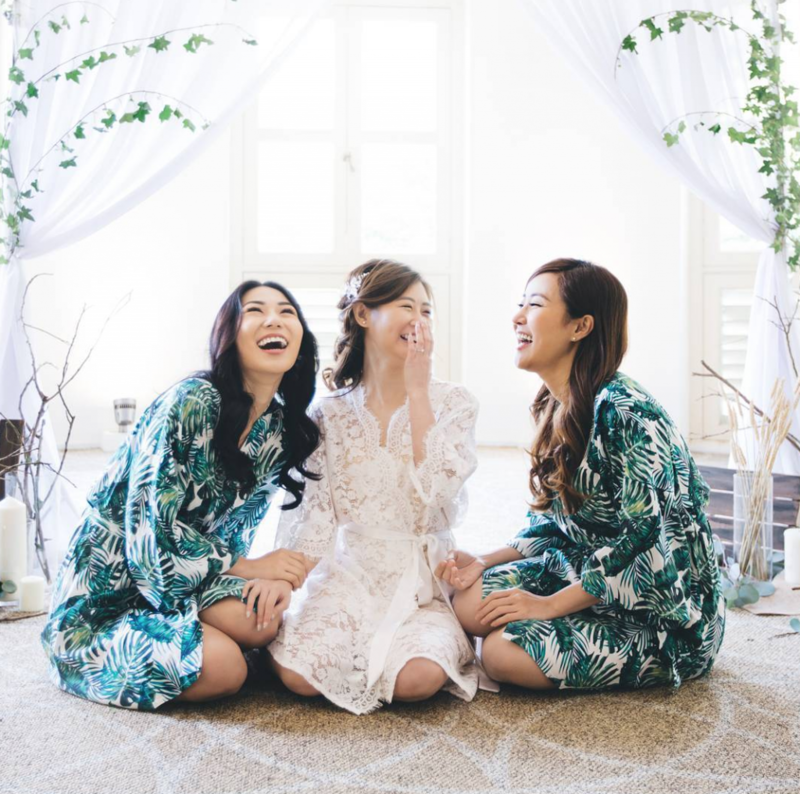 After noticing that there was a lack of local stores selling bridal robes in Singapore, 30-year-old Amanda Koh started Bells & Birds from her home, learning the skills needed from her mother-in-law. Currently, Bells & Birds is going strong 5 years post-launch, and has been seen on brides, mums-to-be, and even influencers. As someone who had never sewn anything in her life and was “horrid” at home economics, running a business selling handmade bridal robes was something Singaporean Amanda Koh (30) never imagined. “By nature, I’m rather impatient, and sewing just struck me as something that’s very painstaking,” she admitted. The young Amanda was also a tomboy, but her style change in her late teens “to ultra feminine” opened her up to the world of lace, tulle, and embroidery. Realising that “there was something ‘imperfect'” about the dresses she bought, Amanda toyed with the idea of sewing her own outfits, but the real push came only after receiving photos taken during her wedding day. In fact, having a bridal robe wasn’t even something she knew was part of the wedding planning process. “[But] I believe [it’s the same] for a lot of people as well,” she said. Wedding planning is so intensive, and we are bogged down by the other details such as venue, photography, dress, styling, invitations…hence we neglect the ‘getting ready’ outfit. It was also around then that she noticed a lack of local stores selling bridal robes. Needless to say, Amanda was bitten by the entrepreneurship bug, and decided that a Singapore-made business specialising in handmade creations was overdue. With that and an investment of S$30,000, Bells & Birds was born in 2014. Fortunately for Amanda, her mother-in-law was very experienced in sewing, having done it “passionately for almost her entire life”. 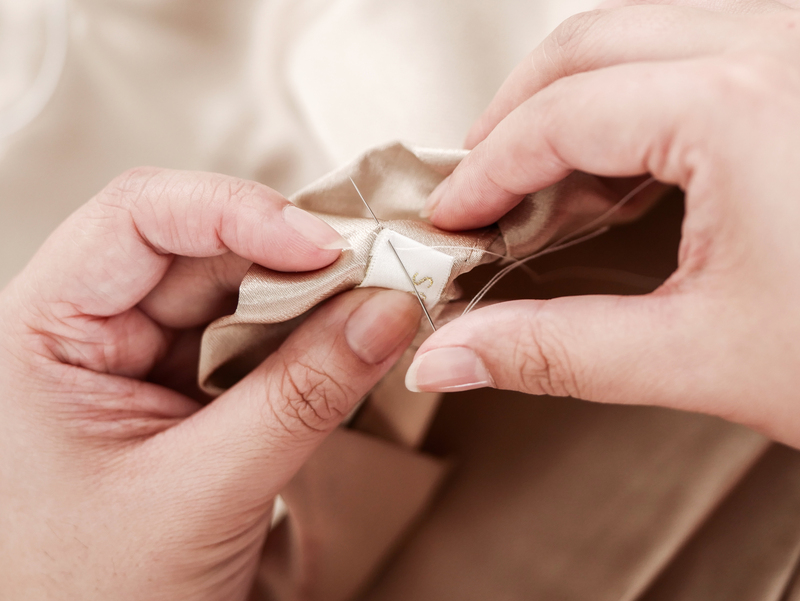 While she managed to secure a shifu she could learn sewing and pattern-drafting skills from, Amanda still found “the start was painful” as she kept losing her patience with the intricate process. When she first started sewing, it took her “weeks of trial and error, sewing from fabric scraps, altering it, and going back to the drawing board over and over” to finish a single piece. 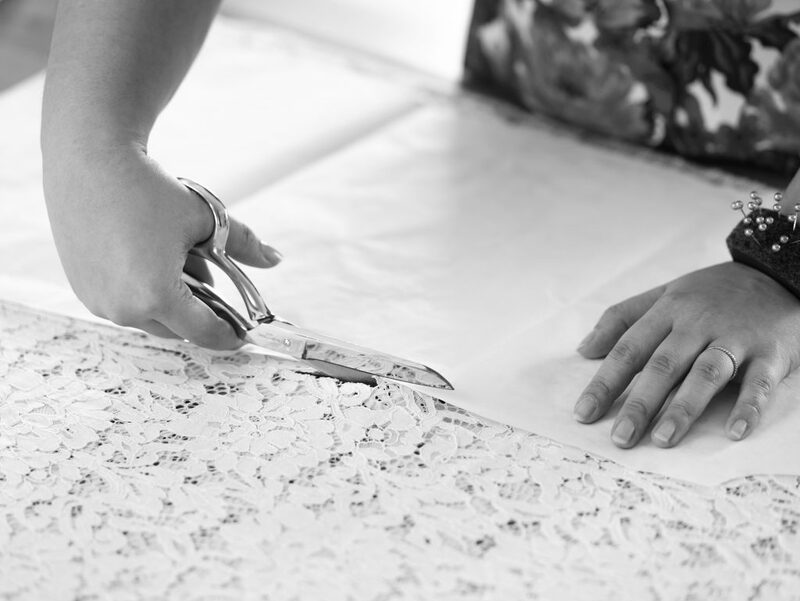 Now, Amanda takes “at least 4 hours” to sew a short lace piece, but more complex designs can take up to “days or even weeks”. While Bells & Birds started in 2014, it was only last year that she “decided to get serious”. By that, she meant making it a full-time venture. Then, she had already worked in the retail industry for 8 years, doing marketing and market research for luxury brands. Running Bells & Birds as a side venture also meant that she didn’t have full concentration on cash flow, and it came to a point when profits “weren’t proportionate to the sales”. I realised if I didn’t go full-time into this, I would run my business into the ground and it would never grow to its full potential. Amanda also revealed that at the beginning, she thought that there was a need to spend “a lot on influencer marketing, fancy photoshoots, and ads” to grow the brand. “It technically isn’t wrong, but on hindsight, there were a lot of things I would have done differently,” she sighed. While “actively seeking influencers who were getting married or keen to work on photoshoots” was the strategy for Bells & Birds 1.0, their new approach to influencer marketing is more selective, “only working with personalities who resonate with the brand”. “But influencer collaborations have definitely helped in branding and exposure,” she quipped. 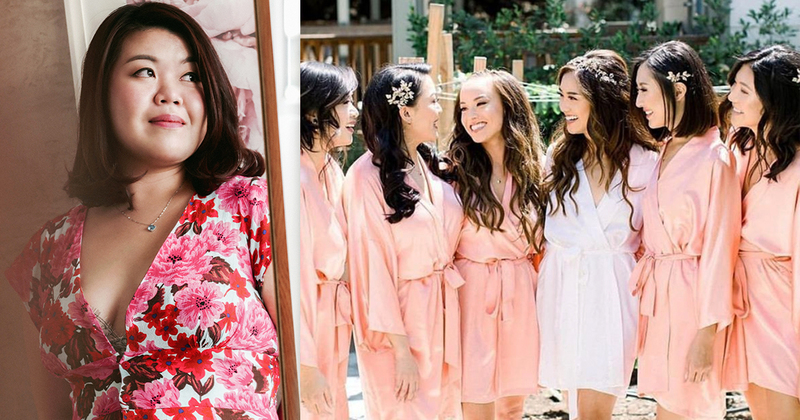 One of these instances was when Amanda’s creations were spotted at popular American Youtuber Jenn Im‘s wedding last year. When asked about how she managed to get the attention of the beauty influencer, Amanda shared that even approaching her was a gamble. 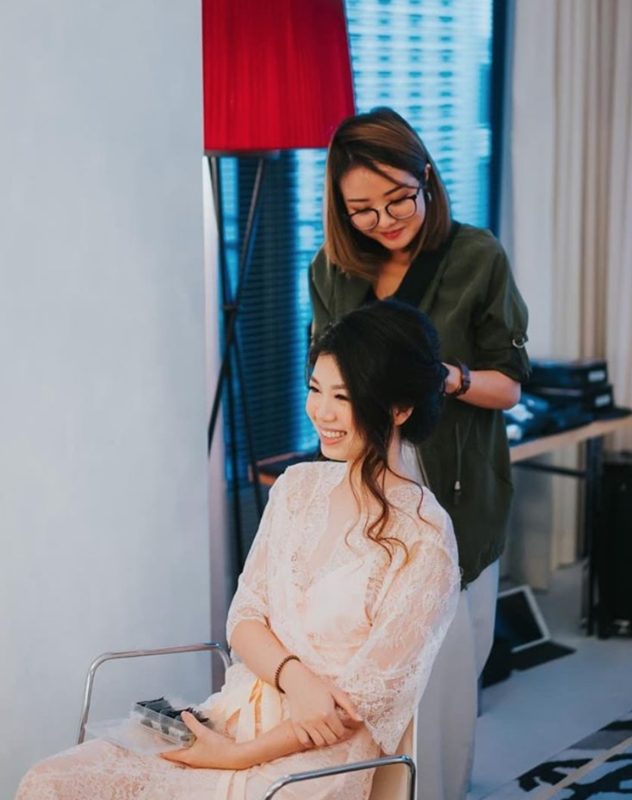 “A few months before her wedding, she was scheduled to come to Singapore for a beauty event, and I toyed with the idea of turning up at the event and gifting her a robe,” she said. 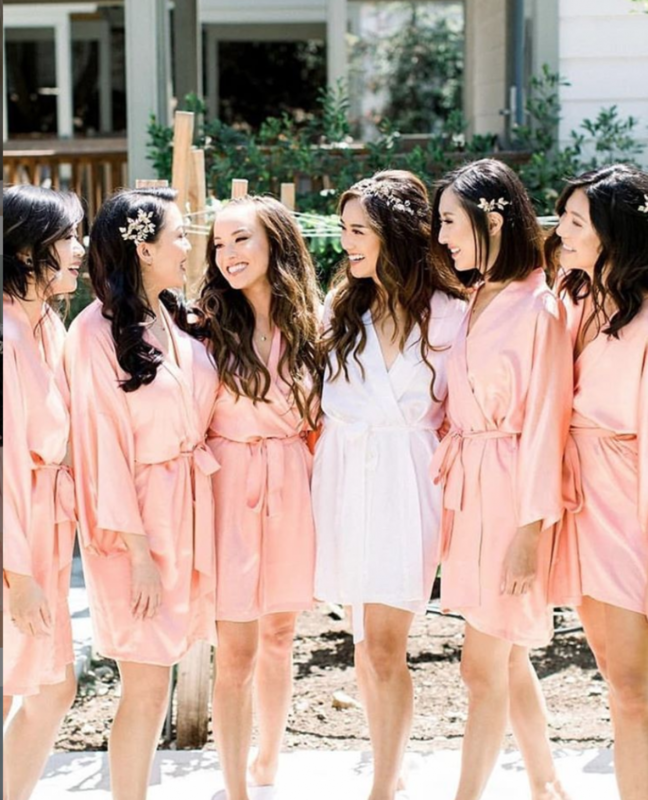 Jenn chose her favourite colours, white and peach, for the silk robes, and each piece was made by hand by Amanda and her team before being shipped to the US. She only had a few sponsors for her wedding, and to be the only Singapore brand to work on her wedding – that was a highlight for us. Currently, a mix of brides and mums-to-be make up a bulk of Bells & Birds’ customers, but there are also customers who wear the pieces just for vacations or just lounging at home. In spite of the very luxurious look and feel of her robes, Amanda reiterated that she wants her robes to be something “comfortable for every day”. She also expressed her hope that more would show their support handmade products. I’d like to thank Amanda for her time! Check out Bells & Birds online here.